Fan Appz has announced it has integrated its platform with Facebook Places. Facebook Places, if you recall, is the Foursquare-like service that allows people to check in to places making it possible for their friends to see where they are. 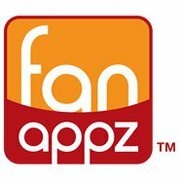 Fan Appz's Offers for Facebook Places makes it possible for business to create offers such as discounts, rewards and incentives based on a customer's location-based activities. For example, a local restaurant can use Fan Appz to offer a free menu item to those customers who check-in at their establishment, say, four times during the course of a month. Fan Appz will automatically verify that the customer has met this criteria and unlock the offer for the client to print out or display during their next visit. Foursquare is already doing the same thing but Fan Appz brings the check offer to Facebook Places. For the time being, the jury is still out on whether or not Places will, ahem, displace Foursquare, Gowalla and other location based services. But it can't be a bad thing for marketers to have this sort of offering within Places. After all, Facebook has 500 million users compared to Foursquare's three million.